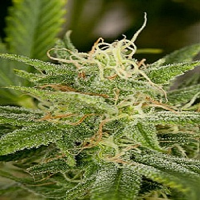 Gorilla Zkittelz is a Trippy Gorilla x Zkittelz cross with an even Indica/Sativa balance. 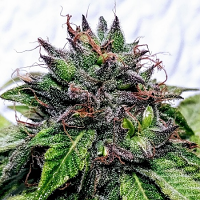 Gorilla Zkittelz Feminized Cannabis Seeds by Big Head Seeds: Gorilla Zkittelz is a Trippy Gorilla x Zkittelz cross with an even Indica/Sativa balance. Gorilla Zkittelz has bright green leaves and her medium size buds are heavily coated with trichomes. Her smell is of tropical fruit. Her lush tropical taste is similar to Zkittelz but with a light after-taste of pine. The Trippy Gorilla side of her heritage has ramped up the THC levels.